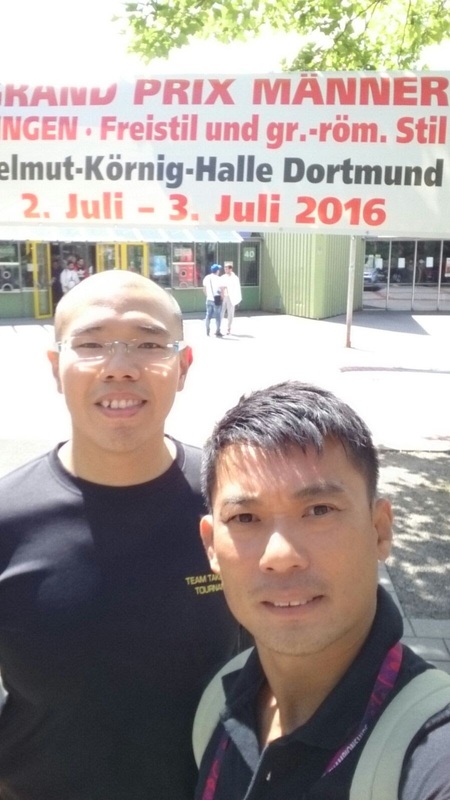 On June 29th 2016, two of our Singapore Wrestling referees embarked on a journey to Dortmund, Germany to participate in the UWW Level 1 Refereeing course. 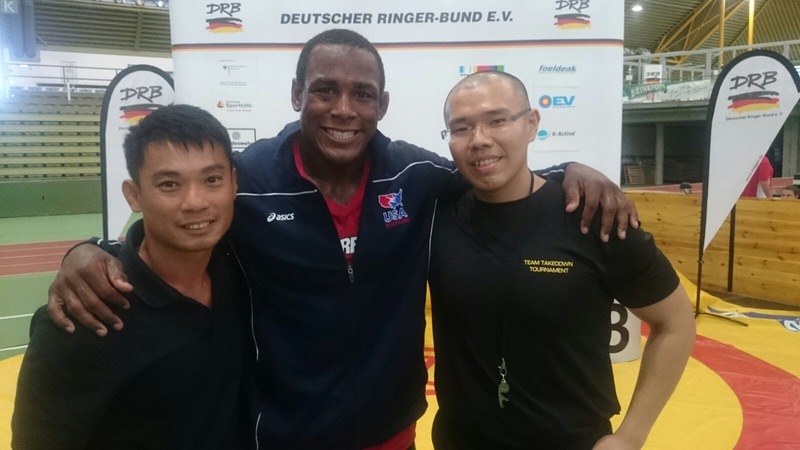 We had a chat with one of the referees, Mr Looi Yuanhui on his experience going through the course. 1) How do you feel refereeing for the first time in an international competition overseas? At first we thought Germany Grand Prix is a medium size competition among the European countries, but apparently majority of wrestlers are bound for Rio Olympics 2016. When we knew that it was rather nerve wrecking, for i myself have no international refereeing experience. On top of that i was not very mobile yet, as i was still recovering from a major knee injury. On the first match when i was the mat referee, it was a Greco Roman match Qualifiers. Naturally i felt nervous and jittery, but by the second match i got into the groove of it. 2) What is the difference between refereeing locally and overseas? 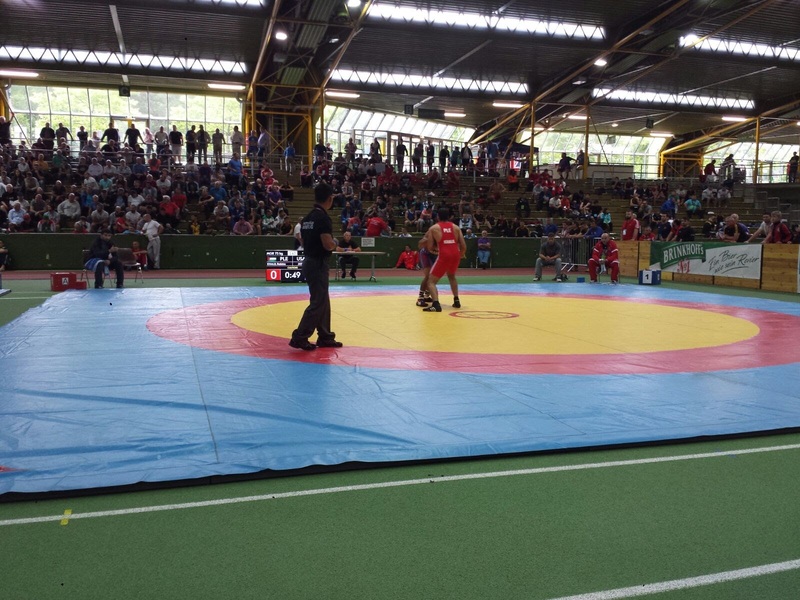 The main difference is the wrestlers and coaches come from different countries instead of different local clubs, so it definitely adds to the pressure to make sure the refereeing is being carried out professionally. It was also worth to note the spectators were much more involved and vocal in sounding their opinions, it adds to both the atmosphere and pressure on the referees. 3) What did you learn through this experience? 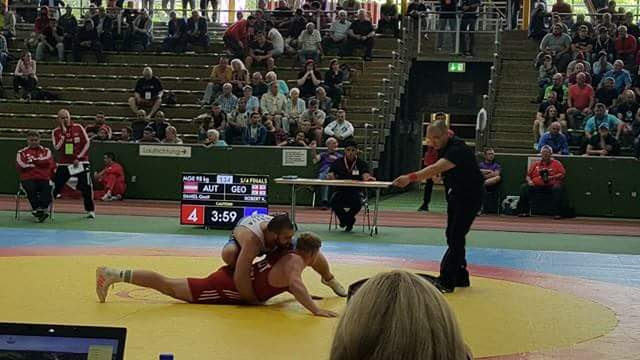 It was a great experience to have a chance to be on mats, not as a wrestler but a referee whose job is to ensure fair play for the competitors. Mr Antonio (UWW Delegate) stressed the importance of "strong referee" which is being confident and firm in our ruling decisions and how we present ourselves to the wrestlers and coaches. This came in to use while on the second match, the two GrecoRoman wrestlers were being at risk of flouting the "attacking of legs" rules. I had to stop the match and warn both of them sternly not to do it again. It was also critical that the judging body (Mat Chairman, Judge and Referee) work together as a team work. Especially when giving passivity calls to the offending wrestlers, which happens frequently in both Greco Roman and Freestyle matches. Other than the technical aspects of refereeing which requires practice, Stephen, (an Australian Type 1 referee whom we met) gave us an useful tip to "practice refereeing" while watching Wrestling matches on youtube. This is relevant to us since in Singapore have limited local competitions there are lesser opportunities for actual refereeing. In conclusion it was a intense and yet eye opening experience to go through the UWW Level 1 Refereeing course in Dortmund. I would love to have more opportunities to referee local matches and help raise the level of officiating in the local Wrestling scene. 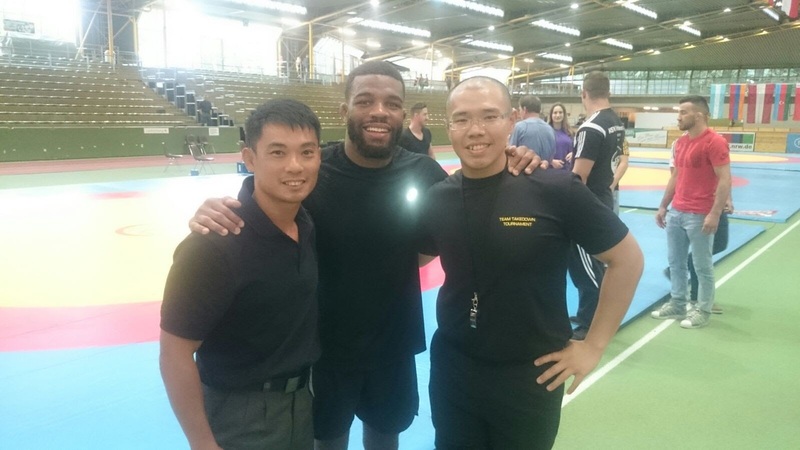 Lastly i would like to thank UWW Delegate Mr Antonio for teaching and guiding us on the aspect of referee, my colleague Jeff Ng being the senior to give me tips and advice. And of course to WFS to provide us with such an opportunity to broaden our views and horizon.